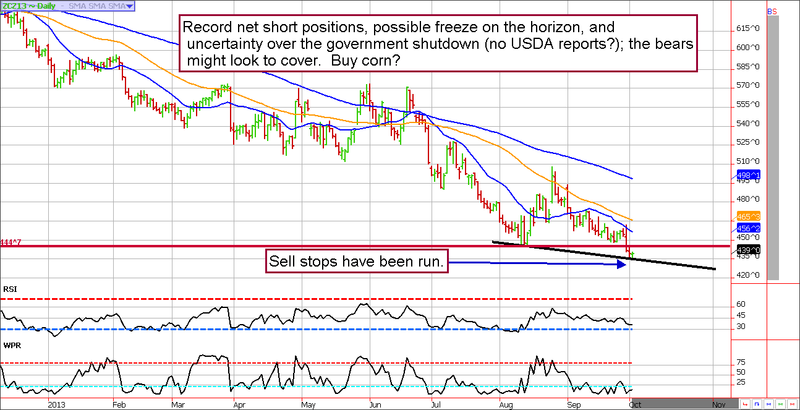 Buying Opportunity in Corn Futures? * Specs are holding record net short positions at a time in which we aren't sure when the next USDA report will be released. This could be a good time for them to start covering! We are corn bulls on this dip. "Everyone" is bearish corn, but it might be time to buy. Corn prices have been in a sharp downtrend, but we can't help but feel like all of the "bad" news is out. The market, and traders, have already come to terms with the fact that we are sitting on a bumper crop in what has been a nearly perfect growing season. However, with the short corn trade overloaded we suspect there aren't many traders left to sell....but it might not take much to entice them to lock in profits. Similarly, the harvest lows are due in October...and here we are. In our view, the risk is to the upside; hopefully the bears realize this as well and begin to cover what are record breaking net short positions. In August, we briefly mentioned that a dip in December corn under $4.40 would trigger our interest. We've been patiently waiting for prices to come to us. Unfortunately, they've move lower on relatively low volatility so our "go to strategy" of selling puts doesn't seem to be the most efficient means of speculation. We like the idea of going long futures contracts at a nibble pace with the idea of adding at lower prices if they are seen. For most of you, it probably makes sense to use the mini corn futures simply because it leaves plenty of margin for dollar cost averaging and gives you the ability to hold a long position for a long period of time with mitigated risk (and stress). 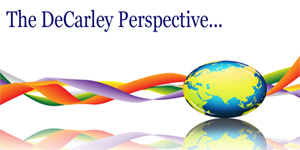 We'll consider adding on should prices decline to levels closer to $4.00. Our initial upside target will be $4.75 but we cannot rule out a run into the $4.95 area. Let us know if you would like us to put one on for you, or if you have any questions.